At ASI 2017, participants developed a Call to Action for a whole society approach to promoting child and youth mental health. There has been momentum for action this past year and ASI 2018 will take the work one step further! The 2018 ASI Forum will be held August 20-22, 2018 at the University of Prince Edward Island. 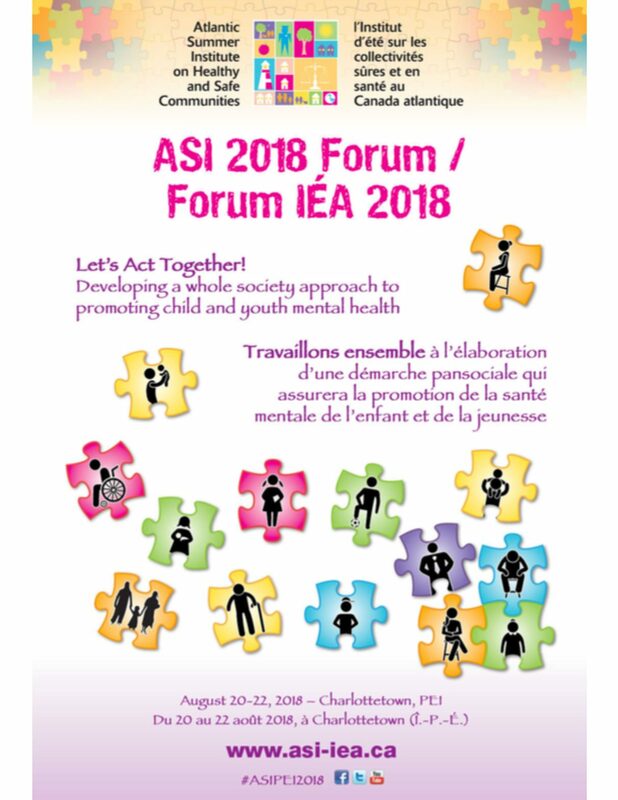 To learn more about the Atlantic Summer Institute on Healthy and Safe Communities, and the ASI Forum, visit http://www.asi-iea.ca/en/asi-2018/.